Very interesting plants, with much to recommend them. Sadly, I have no spots in my garden that remain consistently or predictably moist. And these Ilicums are not known for their drought tolerance. Plus, I tend to stay away from adding plants with serious toxicity concerns. 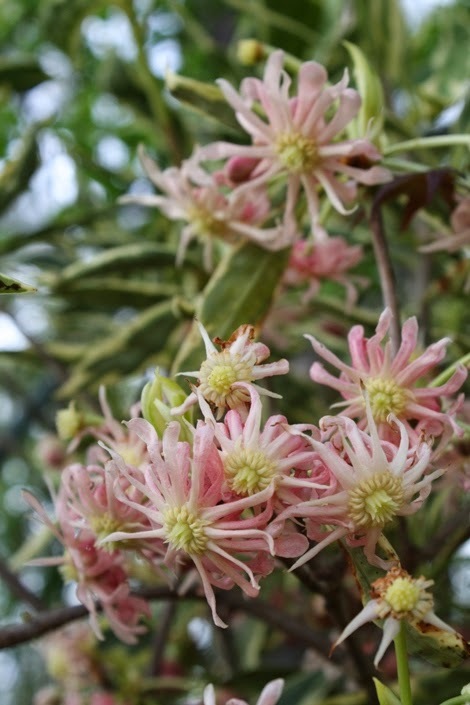 Those caveats aside, these are worthy plants to highlight, especially for gardeners with a predilection for native shrubs. There is a cultivar I stumbled across on the worldwide interweb called 'Swamp Hobbit'. So far I haven't seen it listed from any nursery I deal with. Hopefully one of them is reading this post and is inspired to start produce it for the rest of us to have in our gardens. I've seen some in NC. It's relatively new. Give it some time. Maybe a NC nursery will grow it. Rob, how big do you think 'Haley's Comet' is going to get? I see it in various landscapes right now, and it's usually around 2' ...... but I suspect it's destined to be much bigger. How big have you seen it? Being a relatively new plant to the trade, I've not seen sizable plants around in the landscapes. The only time I saw a Illicum with more maturity was in a photo that a customer brought in to ID. I imagine that the plants will be smaller that their southern kin just because of our colder climate, but more will need to be grown up here to get a better idea. A wonderful native, that once established can handle dry conditions. The fact that it likes shade with a little dappled sun is an even bigger plus. 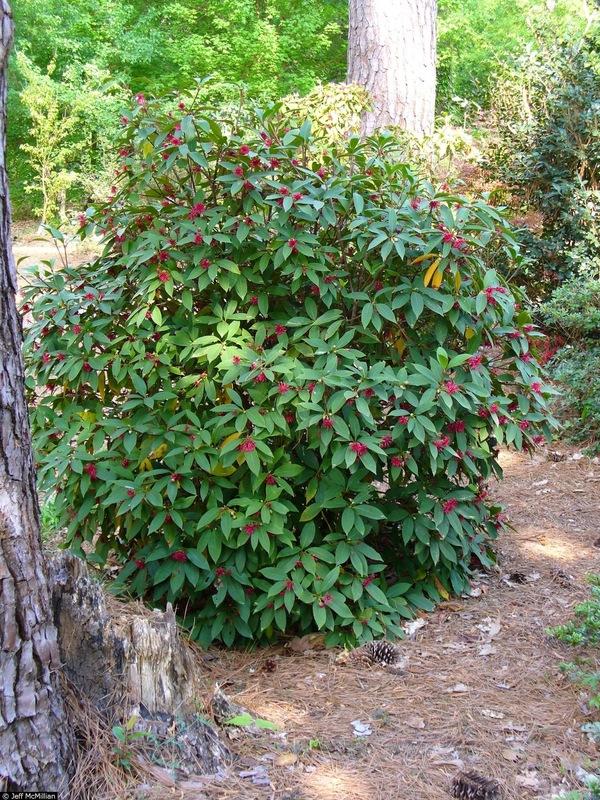 I have one that's nearly 6' that I've been able to establish in my southern woodland garden. The soil is red clay. It has a nice drawn out bloom period and sheds prior years leaves during the spring. I have a Pink Frost in my front yard and want to trim it back a bit so it won't grown too large. Is there a "best way" to do this? Also, can I cut some off and start a new plant in the back yard?